Daylight savings occurred last Sunday and the dreaded darkness is upon us for the next couple months. The cold, wet, and dark days can make the happiest person feel dreary. During this time of year, it is important that we all take extra care of ourselves and put strategies in place to help us be happy. Everyone knows that eating healthy feels great; however, during the holiday season, we are all tempted with comfort food, desserts, and party drinks. Although a night out with friends or overeating at dinner can feel good in the moment, the next day crash can you leave you unhappy, especially in the winter. It’s okay to enjoy the holidays, but set a goal for yourself when attending a party or when eating out. I will only have two drinks. I will only have one cookie. Stick to that goal throughout the night, and you will thank yourself in the morning. It’s too cold. It’s too dark. It’s snowing. 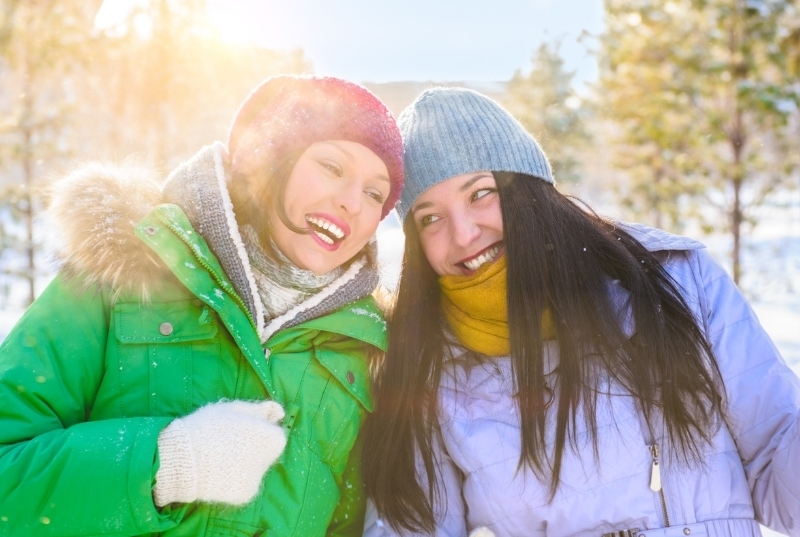 We can all come up with excuses as to why we should stay bundled up on our couch under a cozy blanket binging on Netflix; however, fresh air can do great things for you. Did you know that fresh, outside air is 4 times cleaner than indoor air? Go for a walk, sit in a chair, stand in one place. Get outside and take a couple deep breathes. Everyone has a handful of favorite songs that put a smile on their face. Take 30 minutes and create a “happy” playlist that you have on your phone, computer, or on a CD. When the day feels extra gloomy, put on your “happy” playlist and let the good feelings flow. Science has proven that smiling can generate endorphins and put you in a better mood. Whenever you begin to feel overwhelmed this holiday season, take a pause and smile. Also, when you smile, try smiling at someone else. Smiles are contagious.